Organised chronologically and by type, the exhibition starts with the oldest prints in the Museum’s collection. The first dates from the late 17th century and depicts a scene printed in black ink from a single woodblock. 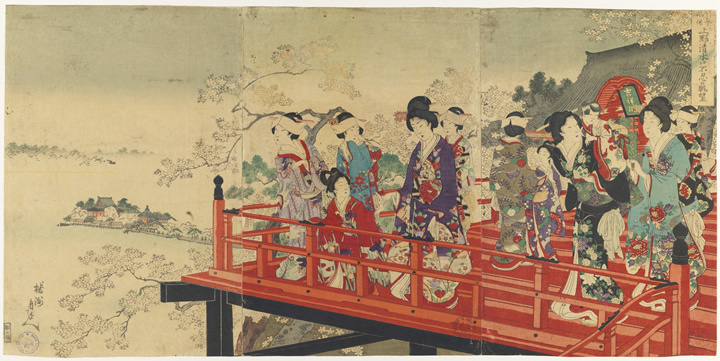 Created by Torii Kiyonobu, it represents a scene from the play Daifukucho sankai Nagoya, performed in Edo in early 1697. The second is entitled Fisherwoman catching Ormers and a Boy. 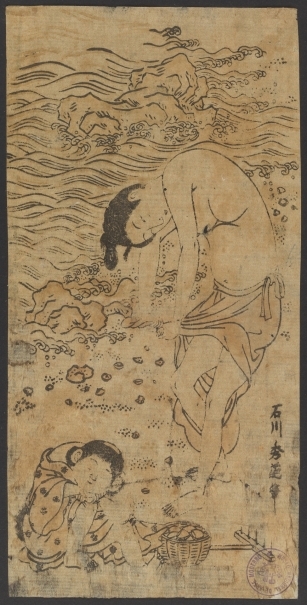 Made by Ishiwaka Toyonobu in 1760, it depicts a female diver gathering ormers from the sea and is printed from two blocks in two colours (benizuri). 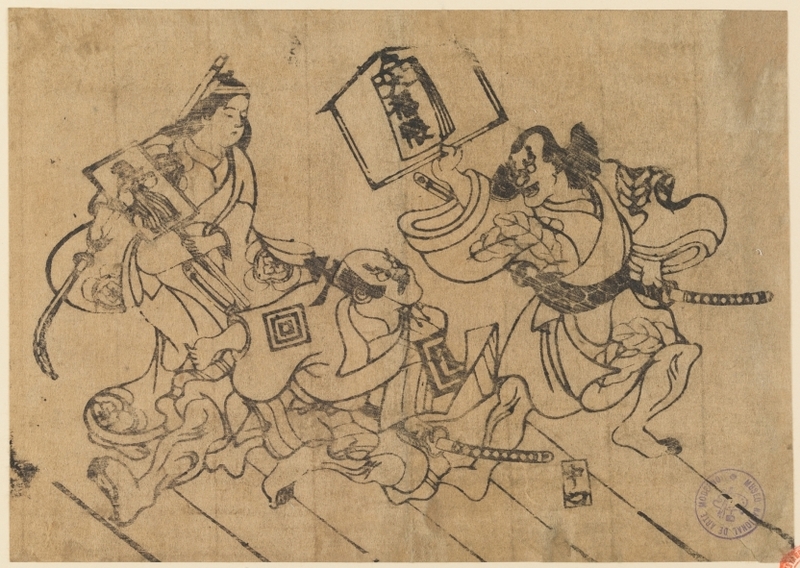 Following these two images, the other works in the exhibition are printed using the technique of multiple blocks in colour (nishiki-e). 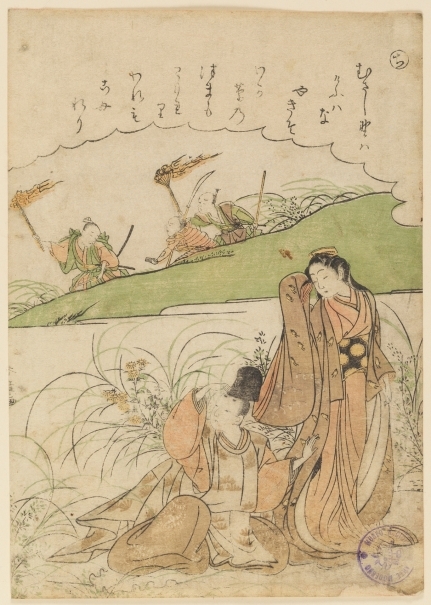 The earliest polychrome prints are two scenes from theTales of Ise created by Katsukawa Shunshô between 1770 and 1780. 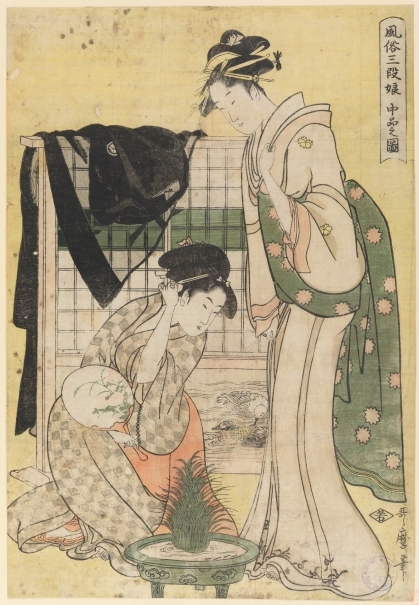 The Kensei period, which was one of the high points of Japanese printmaking, is also represented in the exhibition by the work of some of the leading Edo artists including Kitagawa Utamaro with Two young Women with a Fan, Kubo Shunman with Rural Scene, and Katsukawa Hokusai with Kameido tenjin, a view of the Temple at Kameido.Dating from the early 19th century is print on the rebellion at Hôgen by Katsukawa Shuntei and a portrait of a courtesan from Yoshiwara by Kikugawa Eizan. Utagawa Hiroshige, who was particularly renowned in the West through the japonisme movement, is also present in the exhibition with seven landscapes. The exhibition concludes with a panoramic view of Lake Shinobazu by Chikanobu and a Sugoroku gameboard, which is a game similar to snakes and ladders. 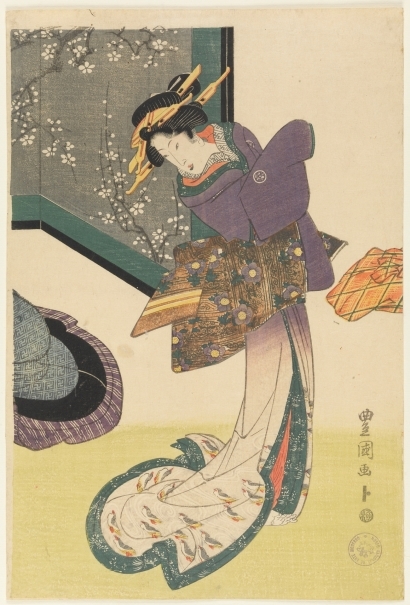 The Museum currently houses a group of more than 50 Japanese prints. 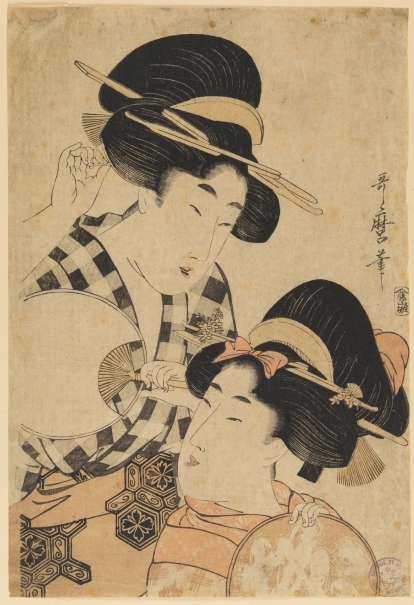 Most derive from the Exhibition of Old and Modern Japanese Prints that was shown at the Museo Nacional de Arte Moderno in Madrid in the summer of 1936, organised by the Union Centrale des Arts Décoratifs in Paris and the Nippon Hanga Kyōkai; [Japanese Printmakers’ Association]. The exhibition travelled around Europe with the aim of offering a comprehensive and global survey of the lengthy history of the Japanese print from its origins to the 20th century. It was initially shown at the Pavillon de Marsan in the Palais du Louvre in February 1934 then toured Europe, arriving in Madrid after it had been seen in Geneva. 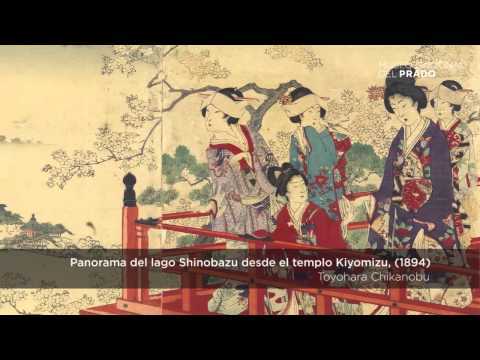 In June 1936 the director of the Museo Nacional informed the Japanese ambassador in Madrid of the decision to purchase 20 works with the aim of acquiring a group that was representative of the history of this medium. In 1955 the Prado’s collection was enlarged with the purchase of a further group of works that had been included in an exhibition organised by UNESCO. While most of the prints in the Prado came from the Museo Nacional de Arte Moderno, which fused with the Prado in 1971, over the past few years the Department of Prints and Drawings has increased its holdings with works from the Madrazo collection (2006) and particularly through the donation made by the collector Antonio Correa (2007). The catalogue, coordinated by José Manuel Matilla, head of the Department of Prints and Drawings in the Museo del Prado, and with the sponsorship of Japan Tobacco International in the context of the Spain-Japan Dual Year, includes all the works in the exhibition carefully reproduced and with texts by curator Ricard Bru in Spanish, English and Japanese.